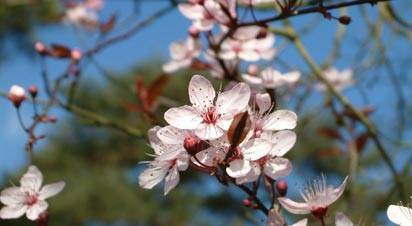 Depending on where you live in the country, Spring has usually arrived by mid-March. The milder weather means it’s time to get busy sowing seeds, cutting back winter shrubs and generally tidying up around the garden preparing for the busy season ahead. Plant summer flowering bulbs & plant out young sweet pea plants. Feed Roses early Spring to stimulate growth. Deal with weeds as they come back into growth. Start feeding fish and turn on the pond fountain, remove any pond heaters. In the Kitchen Garden plant shallots, onion sets and early potatoes. Open the greenhouse doors and vents on warm days to aerate.